You have got at least one of the iPod, iPhone and iPad could the right desktop computer for you be an iMac? Is it time to think again about how you do your computing at home? I am definitely becoming a convert to Apple products. 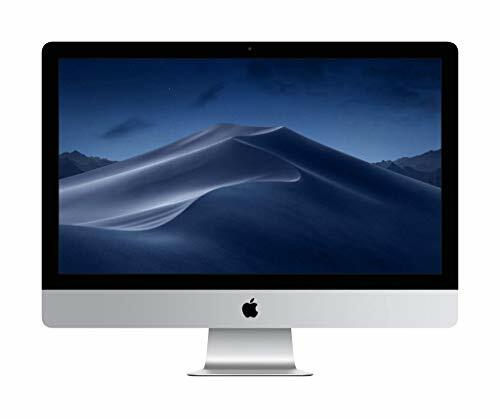 So inevitably the iMac Desktop computer is one of the things I have been looking at over recent weeks. The iPod started the conversion, and as I have progressed through to the iPhone and iPad the more I have grown to like the way the products work. One of the first things you notice about the iMac is that it looks absolutely stunning. With it's large glossy, simple display it really does set itself apart and you are soon imagining it on your desk at home or in the office. 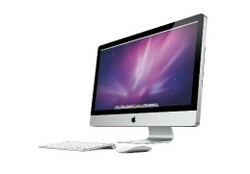 When you compare the iMac to Apple's other desktops it provides excellent value for money. Even more so when you appreciate that it comes with a high quality Apple screen which contains everything. The iMac sets itself apart from the Mac Pro and the Mac Mini neither of which come with a screen. That means that they both cost especially if you don't already own a computer monitor. With the whole of the desktop included in the back of the screen you are getting a stylish, minimal design. That means that you are getting a lot of computer which takes up the least space possible. In addition the CD/ DVD drive and ports being on the desktop screen makes them as accessible as they could be. One of the things that really appeals to me is that that the hardware and software has been made by the same company. That makes a real difference when you think about the Windows Operating System which can be combined with a wide range of hardware. Let's take a look at some of the amazing features of the iMac! When you buy an iMac you get to choose between a 21.5 and 27 inch screen. Regardless of which one you opt for both of them feature LED backlighting and a high resolution. There is no separate tower unit with the iMac. Instead with the flat panel design means you get all of the components contained in the back of the slim. The CD/ DVD drive is on the side with a FaceTime HD camera on the top. All the ports are lined up at the back and the inbuilt speakers can be found on the underside of the screen. You can use the iMac with either the Magic Mouse or Magic Trackpad. With both options you use simple gestures to quickly do everything you need to with your iMac. Your iMac comes with audio in, audio out, SDXC cart slot, 4x USB 2.0, Firewire 800, 2x thunderbolt and a gigabit ethernet ports. With the thunderbolt port you can carry out extremely fast file transfers. With your iMac you also get WiFi and bluetooth built in. Your iMac comes with the latest Mac OS X operating system from Apple. You also get some great software including iPhoto, iMovie, Mail, the massive App Store, iTunes and a lot more beside. One of the other things that really appeals to me is that the iMac is is not affected by PC-viruses. Have You Considered Moving To an iMac Desktop Computer? I have an iMac and I love it. Hubby has a PC and it's broken (LOL). My mother has an iMac, while my dad has a Macbook pro laptop computer. The iMac definitely looks great and my mom is happy with it. However, I'm personally too attached to windows to seriously consider buying one. I use a MacBook Pro and really enjoy it. I don't use any of the other gizmos, but they sound like fun. I have an iMac and I love it! One thing I like is that the USB ports and all things like that are on the back of the monitor. Thus the cords don't get in your way like on so many of the laptops. It's very well designed. I'm definitely a Mac convert!